This little distillery steeped in history and quietly producing world class whisky is as unassuming and as natural as the fields and sky surrounding it. Travel with us through time and take a trip into the origins of this special place. The early story of whisky in Scotland is largely undocumented. It is thought that prior to the 15th century, whisky existed for medicinal use, drinking and sharing in small gatherings. Believed to have unique capabilities to prolong life it was called ‘Uisge Beatha’, ‘the Water of Life’. The story of Edradour and the Distillery is intimately caught up in the dramatic history of the development of Scotch whisky. Before whisky became synonymous with Scotland, respected and prized throughout the globe, it was produced on a small scale in pot stills and illegally, mostly in the Highlands. 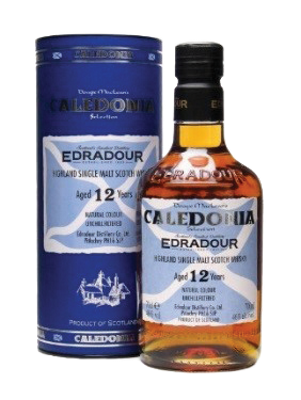 Edradour was no different and distilled throughout the struggles between the illicit stills of the Highlanders, who simply wished to make whisky (seen as their right) and the officialdom of the Excise Officers, who were out to stop them avoiding duty, or tax. With the Excise Act of 1823 encouraging licencing and reducing duty paid on spirit, it became more attractive to move away from the illicit stills to a legal entity. As a result Edradour was duly founded in 1825 as a cooperative of local farmers. 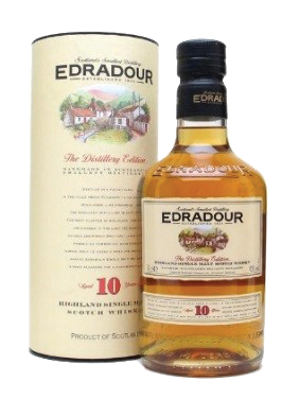 Edradour has always been a survivor through both lean and prosperous times and, perhaps by virtue of its small size, has been able to more easily adapt to changing circumstances: from the original success story of blended whisky to ownership by the New York Mafia, from large corporate ownership to a welcome return to Scottish hands. Today, under the keen skills of Andrew Symington, Master of the Quaich, Edradour Distillery is now producing – along with traditional, handmade farm whisky – innovative new single malts. Small is beautiful, after all.